Being an island, Malta can only be reached either by airplane from major European airports or by ferry-boat from Italy or from Tunisia. Many European low cost airlines fly to Malta giving the chance of flying cheap to this amazing country. Traveling by sea to Malta is an awesome adventure and on a several days trip you can enjoy the beautiful Mediterranean Sea on a journey connecting Italy and the Malta archipelago. Including Malta as a destination within another travel makes us profit from time and money. During my travel to Italy, I got a 8 Euros ticket with Ryanair on the Pisa – Malta itinerary. Search Ryanair website for seasonal offers and promotions. As a member of the EU Schengen Agreement, entering Malta requires only an officially approved ID card from the European Community or EFTA citizens (Iceland, Liechtenstein, Norway, Switzerland). Visitors from other countries will generally need a passport to get into Malta. In no case will they need a visa for a stay of any length. Top 6 Passenger Airlines out of Malta International Airport are Air Malta (connecting to Amsterdam, Athens, Berlin-Tegel, Brussels, Catania, Düsseldorf, Frankfurt, Geneva, Hamburg, Istanbul-Atatürk, London-Gatwick, London-Heathrow, Manchester, Milan-Linate, Moscow-Sheremetyevo, Munich, Paris-Charles de Gaulle, Paris-Orly, Reggio Calabria, Rome-Fiumicino, Sofia, Stuttgart, Tel Aviv, Tripoli, Vienna, Zürich), Ryanair (connecting to Bari, Birmingham, Bologna, Bristol, Dublin, Edinburgh, Eindhoven, Girona, Leeds/Bradford, London-Luton, Madrid, Marseille, Pisa, Seville, Stockholm-Skavsta, Trapani, Treviso, Valencia), Easyjet (connecting to Belfast-International, Liverpool, London-Gatwick, Manchester, Milan-Malpensa, Newcastle upon Tyne, Rome-Fiumicino), Lufthansa , Emirates (connecting to Dubai, Larnaca), Alitalia (connecting to Rome-Fiumicino). To find the best deals in flights to Malta you have two great websites with really simple interfaces that will make choosing the ideal time and lowest prices very easy. Kayak is one of the most famous sites in the world to find deals in flights, car rentals, hotels and holidays. Anything you’re looking for, Kayak has it. But for now you’ll just want to fly to Malta. This site is so well reputed that has partners like About.com, USA Today, Info.com or even Lonely Planet (where you can buy the best travel guides to Malta). 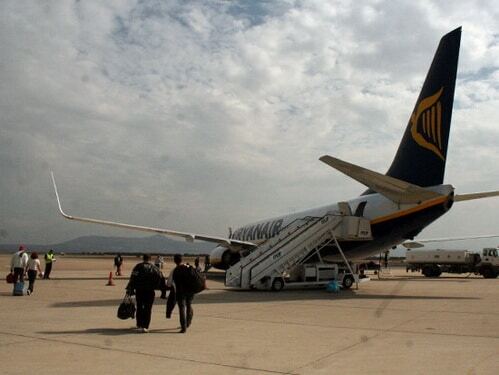 BravoFly focuses more on low-cost airline companies like Ryanair, easyJet, Vueling, etc. If you’re looking for low prices to fly to Malta, this is your search engine to compare and book flights. But if you prefer the top of the line national companies, they are in BravoFly too. 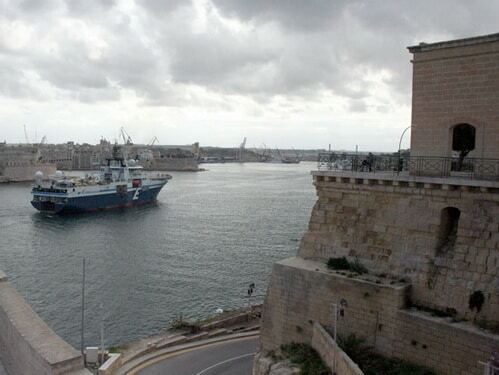 There are 3 companies serving the Italy to Malta ferry-boat journey: Grandi Navi Veloci making the Genoa Tunis Malta Genoa ferry service; Virtu Ferries out of Pozzallo and Catania in Sicily; and Grimaldi Ferries with weekly services out from Salerno, south of Naples. This ferry-boat trip in this specific region of the Mediterranean Sea offers amazing landscapes and amazing sea / land scenarios – perfect for romantic travels.